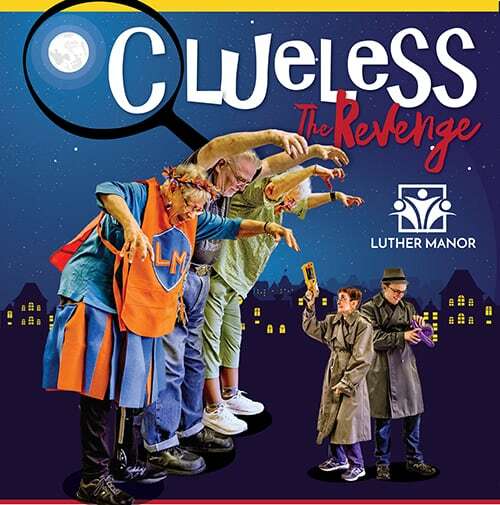 “Clueless: The Revenge” is an original play created, written, and performed collaboratively by Luther Manor residents and University of Wisconsin-Milwaukee students. The bad guys have escaped from prison and are intent on getting retribution against Detective Dorcus. Stowed away at Luther Manor, the baddies are being eliminated one by one. The highly anticipated sequel to “Clueless: Even We Don’t Know Who Done It!” follows Detective Dorcus and her new partner, Jr. Detective Riff on a crazy adventure to solve the mystery of the disappearing baddies. You just might be surprised who done it! The shows are free, but donations will be accepted. Doors open 30 minutes before each performance. Seating is on a first come, first serve basis. * Use the North Entrance into Luther Manor and follow it to the F&E parking lot.